Australia wide in 2015 there were 586,585 recreational vehicles registered, this included 131,498 in NSW and 151,765 in QLD. 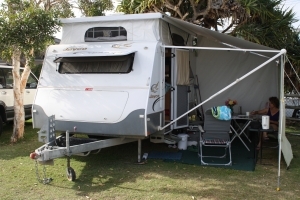 The total number of visitors in parks and camping grounds in NSW was 3,704,348 and QLD 2,276,751. Visitor nights in NSW were 15,105,447 and in QLD 11,085,571.